Since launching Peregrine Adventures ‘Big Polar Payout’ on July 1, sales for the adventure travel company’s Polar Trips have increased by 1,100%. 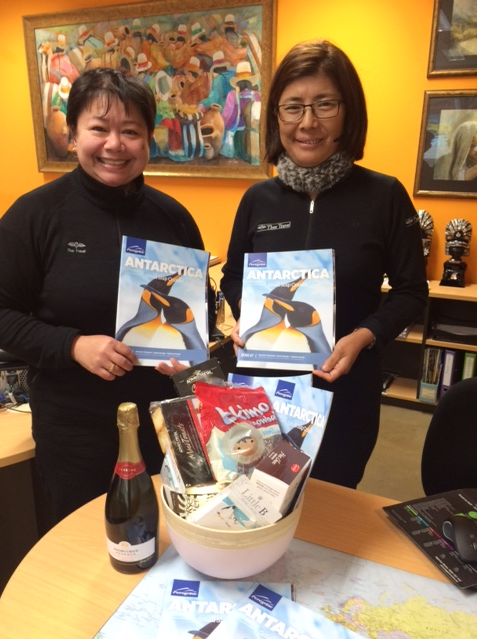 Polar sales have soared in the past 2 weeks, making Antarctica Peregrine’s second biggest selling destination after South America. Agents are embracing the incentive and there has been a 264% increase in the number of agents trained per week. The Big Polar Payout offers an earlybird special to consumers for 2017/2018 Polar trips, as well as one massive incentive that will see one lucky store win back the entire cost of a Polar berth. Agents also go in to the draw to win icy-cold Friday night drinks, for completing the training. Sandra Worsfold and Tashi Lachman from Thor Travel and Amanda Sansom from Flight Centre Applecross have been the winners of the ice-cold beverages so far. www.surveymonkey.com/r/82J63D6 . For further information on the incentive and full terms and conditions, please contact your Intrepid Group BDM. The Big Polar Payout is available to any store in Australian or New Zealand that books and deposits for a Peregrine Adventures or Intrepid Travel Polar trip before 31 August 2016.